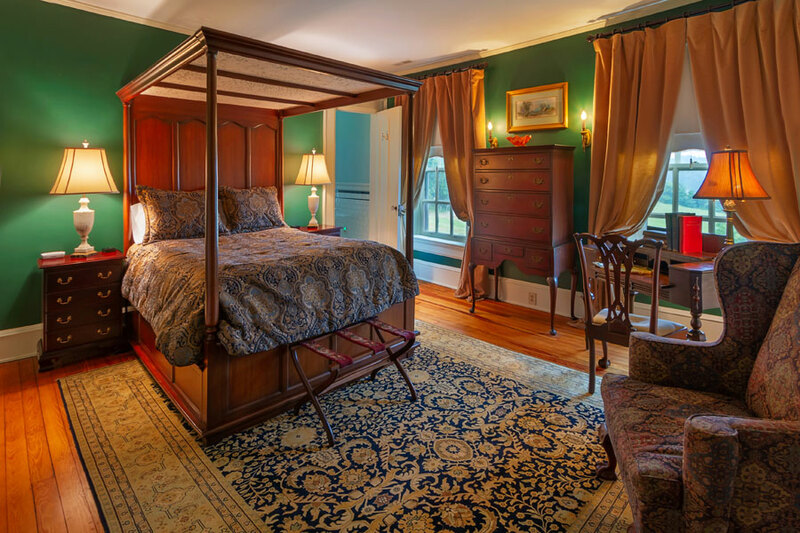 Named after the beautiful Milburne mansion located in Richmond, Virginia, the spacious room boasts an opulent queen size canopy bed, antique furnishings and a fireplace. The deep rich tones of the room are reminiscent of an English country manor complete with spectacular views of the estate’s rolling pastures and the Blue Ridge Mountains. The room has a spacious en suite bathroom equipped with a walk-in shower and a massive claw-foot tub overlooking the magnificent mountain view.